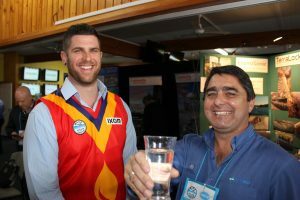 Ardean Oldland and James Gorman from SA Water celebrate the Woolpunda WTP victory with a glass of water! 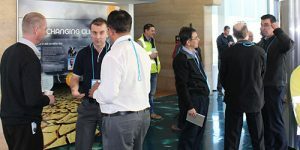 The first WIOA South Australian Conference & Expo received good support from operators in South Australia and suppliers to the industry with nearly 200 individuals meeting in Murray Bridge. One of the highlights of the event was the awarding of the Best Presentation Award that provides an all expenses opportunity to present the paper again at the 2019 WIOA Queensland or NSW conference. 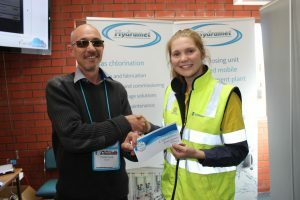 Sponsored by Hydramet the Award was won by Melaine Slimming from South Australia for her presentation on financial savings and efficiencies made at the Port Pirie wastewater treatment facility. 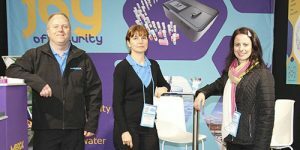 All of the presentations were of a very high standard across the 2 day event as they shared their stories with attendees. 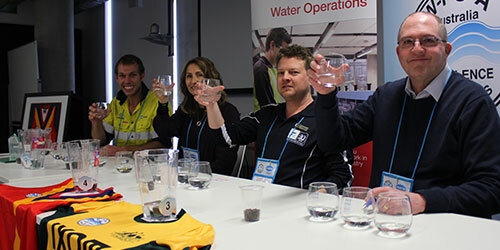 SA Water also took home the Ixom Best Tasting Tap Water in South Australia for the sample from the Woolpunda WTP that sources its water from the mighty Murray River. 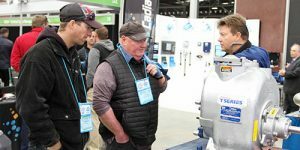 This is the first major event WIOA has conducted in South Australia and we look forward to receiving good support from operators in South Australia and suppliers to the industry. WIOA has a proud record of conducting very successful ‘operationally focussed’ conferences and exhibitions in NSW, Queensland and Victoria. Murray Bridge Racing Club was established in 1899, and held its first race meeting at its current location on Maurice Road on July 25th 1914. The Murray Bridge Racecourse is situated within 3 kms of the luscious banks of the Murray River. The following listing is provided for your convenience. WIOA does not endorse any of the accommodation providers.